Stan Lee, whose Marvel superheroes have dominated popular culture for half a century, was honoured on Tuesday when he plunged his hands and feet into cement at Hollywood’s TCL Chinese Theater. In a typically colourful comment, the 94-year-old comic book legend – whose characters include Spider-Man, the Hulk, Iron Man, Captain America and Thor – joked that he “would have asked for a raise” if he’d known how good he was. “I’ve been the luckiest man in the world because I’ve had friends. And to have the right friends is everything – people you can depend on, people who tell you the truth if you ask for something,” he said. He paid emotional tribute to his “wonderful” wife of nearly 70 years, Joan, who died less than two weeks ago at age 93. It has been a poignant week for Lee, who was honoured as a Disney Legend during the D23 Expo in Anaheim on Friday, where he delivered a rousing speech and received a standing ovation. Born Stanley Martin Lieber on December 28, 1922, in New York, he began his career in 1939 as an assistant at Timely Comics with such duties as getting lunch, filling inkwells and proofreading. His first published work was a text filler for Captain America No. 3, published in 1941. He wrote under the name Stan Lee, which would later become his legal name, revealing in his autobiography that he intended to save his given name for more literary work. Lee was named interim editor of Timely Comics in 1941. 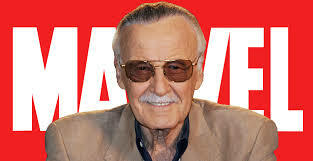 He became editor-in-chief for what would evolve into Marvel Comics in 1961 and was named publisher in 1972. More than two million of Lee’s comic books have been published in 75 nations and in 25 languages, and he is responsible for creating or co-creating 90 percent of Marvel Comics’ characters.